"Oh darn, something on our end broke!" Try using our search or menu above or these helpful links. 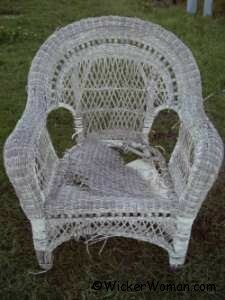 Maybe the page you landed on is like this broken wicker chair and is not in good shape, or maybe it has been trashed, or just maybe, it has been restored and painted and looks completely different now!